A great tutorial for basic techniques that you can make into any dog you want! 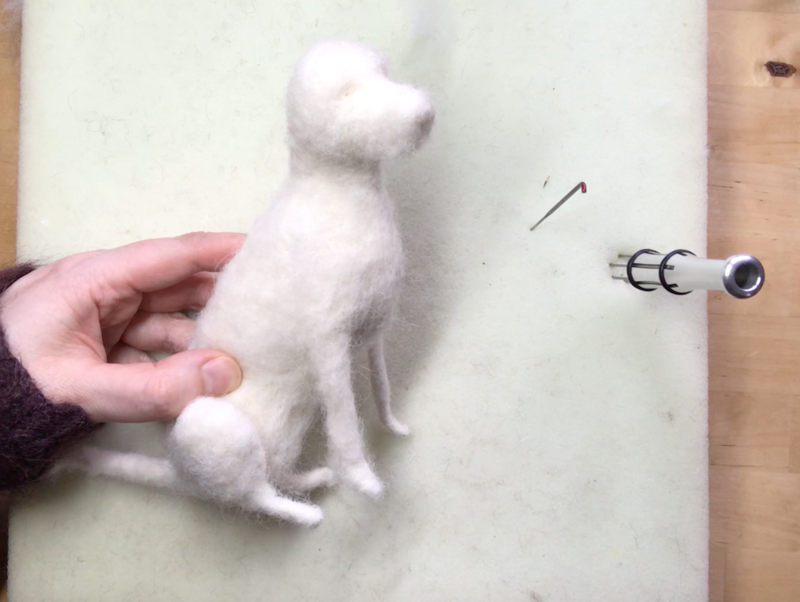 In this set of videos I’ll guide you in making a basic core model needle felt sitting dog that you can make into any breed you want! Join me as I take you through every part of the making of this model step by step. I’ll talk you through exactly what I’m doing, the videos are not too long either and each chapter is broken down into easy manageable parts. Great for when you want to take a break so you can pick up easily where you left off. Are a beginner and are looking for a comprehensive and detailed series of tutorials that don’t keep the juicy tips of 'how to' a secret from you! BUT let me just say that it’s never too soon to learn the advanced techniques which you might be putting off. Just FYI - you can easily adapt it to make whatever breed you like. You DON'T need this tutorial if you have bought the FULL sitting dog tutorial. This is a shorter version of the full price tutorial for you to adapt the model and make it whatever breed you want. Get this tutorial for a great price!